The recent drop in US stocks is dramatic, as the steep falloff of the SPY exchange traded fund (ETF) Monday, August 24th– almost the most recent action in the chart – shows. At the same time, this is by no means the steepest drop in closing prices, as the following chart of daily returns highlights. TV commentators and others point to China and the prospective liftoff of US short term interest rates, with the Federal Reserve finally raising rates off the zero bound in – it was thought – September. I have been impressed at the accuracy of Michael Pettis’ predictions in his China Financial Markets. Pettis has warned about a debt bubble in China for two years and consistently makes other correct calls. I have some first-hand experience doing business in China, and plan a longer post of the collapse of Chinese stock markets and the economic slowdown there. You can imagine, if you will, a sort of global input-output table with a corresponding table of import/export flows. China has gotten a lot bigger since 2008-2009, absorbing significant amounts of the global output of iron and steel, oil, and other commodities. Also, in 2008-2009 and in the earlier recession of 2001, China led the way to greater spending, buoying the global economy which, otherwise, was in sad shape. That’s not going to happen this time, if a real recession takes hold. All very scary, but while the latest stuff took place, this is what I was doing. In other words, I was the father of the groom at a splendid wedding for my younger son at the Pearl Buck estate just outside Philadelphia. Well, that wonderful thing being done, I plan to return to more frequent posting on BusinessForecastblog. I also apologize for having the tools to predict the current downturn, at least after developments later last week, and not signaling readers. But frankly, I’m not sure the extreme value prediction algorithms (EVPA) reliably predict major turning points. In fact, there seem to be outside influences at key junctures. However, once a correction is underway, predictability returns. Thus, the algorithms do more than simply forecast the growth in stock prices. The EVPA also works to predict the extent of downturns. Here’s a tip. Start watching ratios such as those between differences between the opening price in a trading day and the previous day’s high or low price, divided by the previous day’s high or low price, respectively. Very significant predictors of the change in daily highs and lows, and with significance for changes in closing prices, if you bring some data analytics to bear. Well, I’m back, after deep dives into R programming and statistical modeling. I’d like to offer these links which I’ve bookmarked in recent days. The first four cover a scatter of topics, from impacts of the so-called sharing economy and climate developments to the currency impacts of the more and more certain moves by the US Federal Reserve to increase interest rates in September. 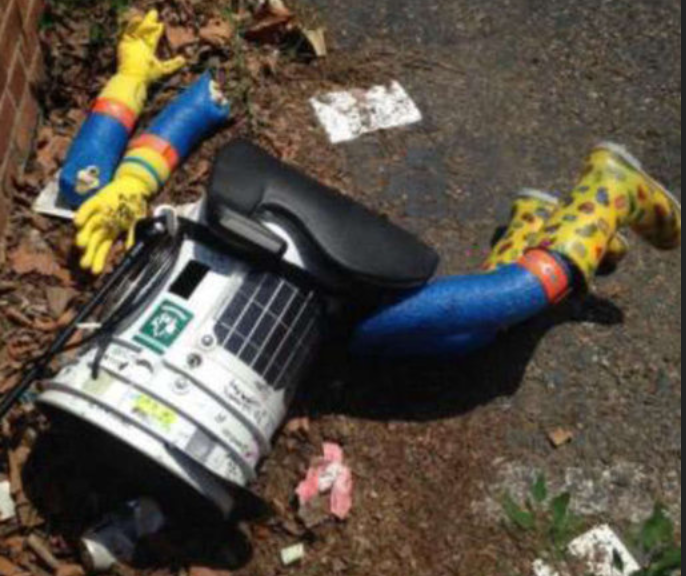 But then I’ve collected a number of useful links on robotics and artificial intelligence. DS: New York Attorney General Eric Schneiderman last October issued a report finding 72 percent of the reservations on Airbnb going back to 2010 were in violation of city law. What’s the industry doing to address these concerns? MB: Listen, I think there are a lot of outdated regulations and a lot of outdated laws that were written in a time where you couldn’t possibly imagine the innovation that has come up from the sharing economy, and a lot of those need to be updated to meet the world that we live in today, and I think that’s important. Sometimes you have regulations that are put in place by incumbent industries that didn’t want competition and you have some regulations that were put in place back in the ’60s and ’70s, where you couldn’t imagine any of these things, and so I think sometimes you need to see updates. So there you go – laws on the books are outdated. The goal of all this research is to get thought-controlled prosthetics to people with ALS. Today these people may use an eye-tracking system to direct cursors or a “head mouse” that tracks the movement of the head. Both are fatiguing to use. Neither provides the natural and intuitive control of readings taken directly from the brain. The U.S. Food and Drug Administration recently gave Shenoy’s team the green light to conduct a pilot clinical trial of their thought-controlled cursor on people with spinal cord injuries. Unfortunately, very apt characterization from a formal standpoint of political science. The only El Niño events in NOAA’s 1950-2015 database comparable in strength to the one now developing occurred in 1982-83 and 1997-98… Like other strong El Niño events, this one will almost certainly last just one winter. But at least for the coming wet season, it holds encouraging odds of well-above average precipitation for California. During a strong El Niño, the subtropical jet stream is energized across the southern U.S., while the polar jet stream tends to stay north of its usual winter position or else consolidate with the subtropical jet. This gives warm, wet Pacific systems a better chance to push northeast into California… Milder and drier a good bet for Pacific Northwest, Northern Plains, western Canada.. Rockies snowfall: The south usually wins out…Thanks to the jet-shifting effects noted above, snowfall tends to be below average in the Northern Rockies and above average in the Southern Rockies during strong El Niños. The north-south split extends to Colorado, where northern resorts such as Steamboat Springs typically lose out to areas like the San Juan and Sangre de Cristo ranges across the southern part of the state. Along the populous Front Range from Denver to Fort Collins, El Niño hikes the odds of a big snowstorm, especially in the spring and autumn. About half of Boulder’s 12” – 14” storms occur during El Niño, and the odds of a 20” or greater storm are quadrupled during El Niño as opposed to La Niña. According to NOAA, the single most reliable El Niño outcome in the United States, occurring in more than 80% of El Niño events over the last century, is the tendency for wet wintertime conditions along and near the Gulf Coast, thanks to the juiced-up subtropical jet stream. The currencies of Brazil, Mexico, South Africa and Turkey have all crashed to multi-year lows as investors flee emerging markets and commodity prices crumble. The economic impact of robotic advances and AI—Self-driving cars, intelligent digital agents that can act for you, and robots are advancing rapidly. Will networked, automated, artificial intelligence (AI) applications and robotic devices have displaced more jobs than they have created by 2025? Half of these experts (48%) envision a future in which robots and digital agents have displaced significant numbers of both blue- and white-collar workers—with many expressing concern that this will lead to vast increases in income inequality, masses of people who are effectively unemployable, and breakdowns in the social order. The other half of the experts who responded to this survey (52%) expect that technology will not displace more jobs than it creates by 2025. To be sure, this group anticipates that many jobs currently performed by humans will be substantially taken over by robots or digital agents by 2025. But they have faith that human ingenuity will create new jobs, industries, and ways to make a living, just as it has been doing since the dawn of the Industrial Revolution. Read this – the comments on both sides of this important question are trenchant, important. The next most useful research comes from a 2011 publication of Brian Arthur in the McKinsey Quarterly The second economy – which is the part of the economy where machines transact just with other machines. Something deep is going on with information technology, something that goes well beyond the use of computers, social media, and commerce on the Internet. Business processes that once took place among human beings are now being executed electronically. They are taking place in an unseen domain that is strictly digital. On the surface, this shift doesn’t seem particularly consequential—it’s almost something we take for granted. But I believe it is causing a revolution no less important and dramatic than that of the railroads. It is quietly creating a second economy, a digital one. Twenty years ago, if you went into an airport you would walk up to a counter and present paper tickets to a human being. That person would register you on a computer, notify the flight you’d arrived, and check your luggage in. All this was done by humans. Today, you walk into an airport and look for a machine. You put in a frequent-flier card or credit card, and it takes just three or four seconds to get back a boarding pass, receipt, and luggage tag. What interests me is what happens in those three or four seconds. The moment the card goes in, you are starting a huge conversation conducted entirely among machines. Once your name is recognized, computers are checking your flight status with the airlines, your past travel history, your name with the TSA (and possibly also with the National Security Agency). They are checking your seat choice, your frequent-flier status, and your access to lounges. This unseen, underground conversation is happening among multiple servers talking to other servers, talking to satellites that are talking to computers (possibly in London, where you’re going), and checking with passport control, with foreign immigration, with ongoing connecting flights. And to make sure the aircraft’s weight distribution is fine, the machines are also starting to adjust the passenger count and seating according to whether the fuselage is loaded more heavily at the front or back. At the workshop of Changying Precision Technology Company in Dongguan, known as the “world factory”, which manufactures cell phone modules, 60 robot arms at 10 production lines polish the modules day .. The technical staff just sits at the computer and monitors through a central control system… In the plant, all the processes are operated by computer- controlled robots, computer numerical control machining equipment, unmanned transport trucks and automated warehouse equipment. Greetings, and I thought you would all enjoy this bit of rough-and-tumble involving the leading Republican candidate so far for US President – Donald Trump. Make sure you watch past the 42 second mark to see Trump lambast his billionaire buddy. So this is really happening. Trump apparently has hired people to work on his campaign for President, and he has taken an early lead over Scott Walker and Jeb Bush, and the other more minor candidates. For my money, Janet Yellen’s speech July 10 – parts of which I quote below – is important. Yellen says the Fed plans the first increase in interest rates this year – in September or December, given Fed meeting schedules. I believe the fact that we have virtually zero interest rates, and have for some time, creates distortions in economic discussions, not to mention its bizarre effects on the real economy. On the one hand, the US Federal Reserve must realize that if it does not raise interest rates in this phase of the business cycle, it may be a very long time before we get off the zero lower bound. This creates a tendency to “happy talk” from monetary officials, although not Ms. Yellen specifically, papering over weakness in the US and global economy. On the other hand, I suspect there are now economic interests invested in continuation of low rates, and their contribution going forward may be to sound the alarm at the slightest sign of economic troubles. And, truly, this expansion phase of the current business cycle is “growing long in the tooth.” It began, according to the National Bureau of Economic Research, in summer 2009. 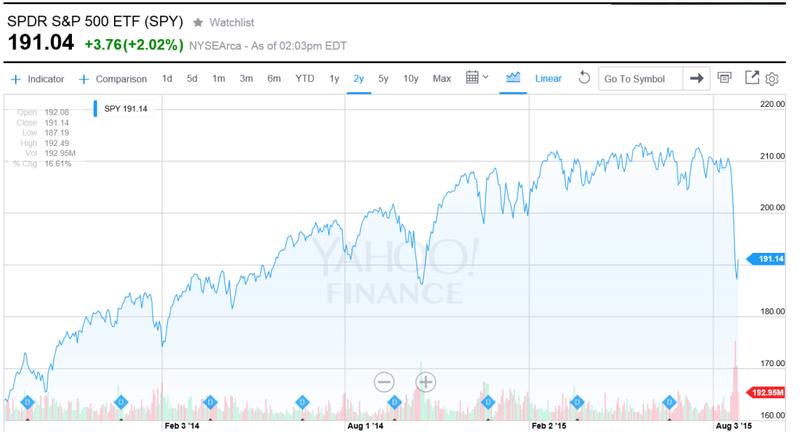 This makes for 96 months from the previous trough of the business cycle to the current time. Only two previous US business expansions historically are longer than this, and only by one or two years. The price of (economic) freedom is eternal vigilance. With that in mind, consider some of the datapoints on the current economic outlook. There is an extensive extract from Ms. Yellen’s speech, assessing US economic conditions, the latest report indicating retail sales softened, and the earlier May 2015 consensus forecast of the Survey of Professional Forecasters, indicating lower economic growth expectations. 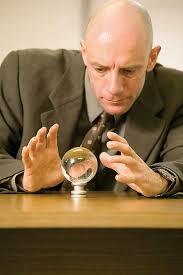 Let me turn now to where I think the economy is headed over the next several years. The latest estimates show that both real GDP and industrial production actually edged down in the first quarter of this year. 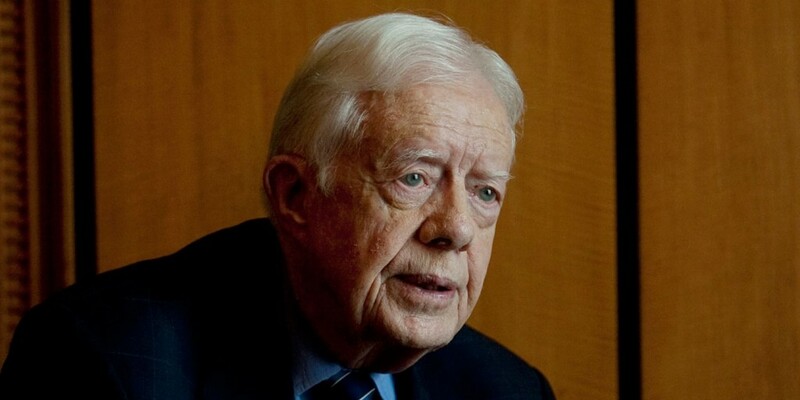 Some of this weakness appears to be the result of factors that I expect will be only transitory, such as the unusually harsh winter weather in some regions of the country and the West Coast port labor dispute that briefly restrained international trade and caused disruptions in manufacturing supply chains. Also, statistical noise or measurement issues may have played some role. This is not the first time in recent years that real GDP has been reported to decline, or grow unusually slowly, in the first quarter of the year. There is a healthy debate among economists–many within the Federal Reserve System–about some of the technical factors that may lie behind this pattern.4 Nevertheless, at least a couple of other more persistent factors also likely weighed on economic output and industrial production in the first quarter. In particular, the higher foreign exchange value of the dollar that I mentioned, as well as weak growth in some foreign economies, has restrained the demand for U.S. exports. Moreover, lower crude oil prices have significantly depressed business investment in the domestic energy sector. Indeed, industrial production continued to decline somewhat in April and May. We expect the drag on domestic economic activity from these factors to ease over the course of this year, as the value of the dollar and crude oil prices stabilize, and I anticipate moderate economic growth, on balance, for this year as a whole. As always, however, the economic outlook is uncertain. Notably, although the economic recovery in the euro area appears to have gained a firmer footing, the situation in Greece remains unresolved. Looking further ahead, I think that many of the fundamental factors underlying U.S. economic activity are solid and should lead to some pickup in the pace of economic growth in the coming years. In particular, I anticipate that employment will continue to expand and the unemployment rate will decline further. An improving job market should, in turn, help support a faster pace of household spending growth. Additional jobs and potentially faster wage growth bolster household incomes, and lower energy prices mean consumers have more money to spend on other goods and services. In addition, growing employment and wages should make consumers more comfortable in spending a greater portion of their incomes than they have been in the aftermath of the Great Recession. Moreover, increases in house values and stock market prices, along with reductions in debt in recent years, have pushed up households’ net worth, which also should support more spending. Finally, interest rates faced by borrowers remain low, reflecting the FOMC’s highly accommodative monetary policies. Indeed, recent encouraging data about retail sales and light motor vehicle purchases in the beginning of the second quarter could be an indication that the pace of consumer spending is picking up. A second factor that could restrain economic growth regards housing. While national home prices have been rising for a few years and home sales have improved recently, residential construction has remained quite soft. Many households still find it difficult to obtain mortgage credit, but, more generally, the weak job market and slow wage gains in recent years appear to have induced people to double-up on housing. For example, many young adults continue to live with their parents. Population growth is creating a need for more housing, whether to rent or to own, and I do expect that continuing job and wage gains will encourage more people to form new households. Nevertheless, activity in the housing sector seems likely to improve only gradually. Regarding inflation, as I mentioned earlier, the recent effects of lower prices for crude oil and for imports on overall inflation are expected to wane during this year. Combined with further tightening in labor and product markets, I expect inflation will move toward the FOMC’s 2 percent objective over the next few years. Importantly, a number of different surveys indicate that longer-term inflation expectations have remained stable even as recent readings on inflation have fallen. If inflation expectations had not remained stable, I would be more concerned because consumer and business expectations about inflation can become self-fulfilling. From the New York Times – To my ears, most of Ms. Yellen’s speech expertly laid out why the economy is not ready for interest rate increases anytime soon. 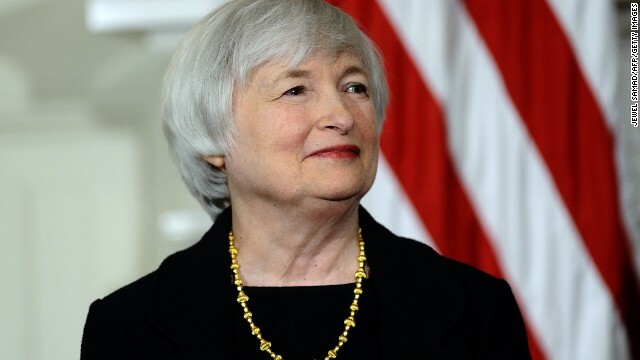 Then, toward the end, she said that based on her views, she expected to begin raising rates “at some point later this year.” That would mean a rate hike in three months, at the Fed’s next meeting in September, or six months hence at its December meeting. The U.S. Census Bureau announced today that advance estimates of U.S. retail and food services sales for June, adjusted for seasonal variation and holiday and trading-day differences, but not for price changes, were $442.0 billion, a decrease of 0.3 percent (±0.5%)* from the previous month, but up 1.4 percent (±0.9%) above June 2014. Total sales for the April 2015 through June 2015 period were up 1.7 percent (±0.7%) from the same period a year ago. The April 2015 to May 2015 percent change was revised from +1.2 percent (±0.5%) to +1.0 percent (±0.3%). Retail trade sales were down 0.3 percent (±0.5%)* from May 2015, but up 0.6 percent (±0.7%)* above last year. Food services and drinking places were up 7.7 percent (±3.3%) from June 2014 and sporting goods, hobby, books and music were up 6.6 percent (±1.9%) from last year. Gasoline stations were down 17.1% (±1.4%) from the previous year. The outlook for growth in the U.S. economy over the next three years looks weaker now than it did in February, according to 44 forecasters surveyed by the Federal Reserve Bank of Philadelphia. The forecasters predict real GDP will grow at an annual rate of 2.5 percent this quarter and 3.1 percent next quarter. On an annual-average over annual-average basis, real GDP will grow 2.4 percent in 2015, down 0.8 percentage point from the previous estimate. The forecasters predict real GDP will grow 2.8 percent each in 2016 and 2017, and 2.5 percent in 2018. Emerging markets made up some of the slack in the global economy after 2008-2009, but today are everywhere slowing, as the latest revision of the International Monetary Fund (IMF) World Economic Outlook indicates. Global growth is projected at 3.3 percent in 2015, marginally lower than in 2014, with a gradual pickup in advanced economies and a slowdown in emerging market and developing economies. 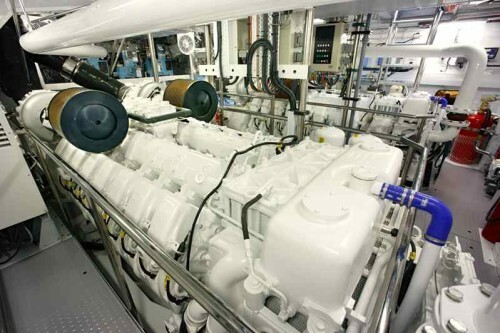 In 2016, growth is expected to strengthen to 3.8 percent. A setback to activity in the first quarter of 2015, mostly in North America, has resulted in a small downward revision to global growth for 2015 relative to the April 2015 World Economic Outlook (WEO). Nevertheless, the underlying drivers for a gradual acceleration in economic activity in advanced economies—easy financial conditions, more neutral fiscal policy in the euro area, lower fuel prices, and improving confidence and labor market conditions—remain intact. In emerging market economies, the continued growth slowdown reflects several factors, including lower commodity prices and tighter external financial conditions, structural bottlenecks, rebalancing in China, and economic distress related to geopolitical factors. A rebound in activity in a number of distressed economies is expected to result in a pickup in growth in 2016. The distribution of risks to global economic activity is still tilted to the downside. Near-term risks include increased financial market volatility and disruptive asset price shifts, while lower potential output growth remains an important medium-term risk in both advanced and emerging market economies. Lower commodity prices also pose risks to the outlook in low-income developing economies after many years of strong growth. My take is that the harsh dealing with Greece led by, apparently, the Germans is more symbolic than directly material to global economic conditions. Nevertheless, it is an ugly symbol, representing, it seems, the end of dreamy thoughts about European integration and the onset of recognition of new German hegemony in Europe. I am an admirer of modern Germany, having struggled to relearn enough German to read newspapers recently and ask for items in German bakeries. I see the German perspective, but I deeply regret its narrow scope. I think more conservative Germans are missing the big picture here. 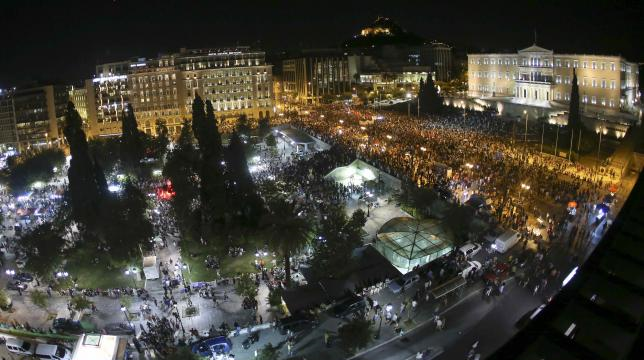 Of course, the plight of the Greeks is desperate and lamentable. One final remark – forecasting comes to the fore at junctures such as these. Are we on the cusp, have we started to slide down, or is there still some upside? Compelling questions. Well, not exactly, since I never left it. But the US and other markets opened higher today, after round-the-clock negotiations on the Greek debt. I notice that Jeff Miller of Dash of Insight frequently writes stuff like, We would all like to know the direction of the market in advance. Good luck with that! Second best is planning what to look for and how to react. Running the EVPA with this morning’s pop up in the opening price of the SPY, I get a predicted high for the day of 210.17 and a predicted low of 207.5. The predicted low for the day will be spot-on, if the current actual low for the trading range holds. I can think of any number of arguments to the point that the stock market is basically not predictable, because unanticipated events constantly make an impact on prices. I think it would even be possible to invoke Goedel’s Theorem – you know, the one that uses meta-mathematics to show that every axiomatic system of complexity greater than a group is essentially incomplete. There are always new truths. On the other hand, backtesting the EVPA – extreme value prediction algorithm – is opening up new vistas. I’m appreciative of helpful comments of and discussions with professionals in the finance and stock market investing field. I strain every resource to develop backtests which are out-of-sample (OOS), and recently have found a way to predict closing prices with resources from the EVPA. Great chart. The wider gold lines are the actual monthly ROI for the SPY, based on monthly closing prices. The blue line shows the OOS prediction of these closing prices, based on EVPA metrics. As you can see, the blue line predictions flat out miss or under-predict some developments in the closing prices. At the same time, in other cases, the EVPA predictions show uncanny accuracy, particularly in some of the big dips down. Recognize this is something new. Rather than, say, predicting developments likely over a range of trading days – the high and low of a month, the chart above shows predictions for stock prices at specific times, at the closing bell of the market the last trading day of each month. I calculate the OOS R2 at 0.63 for the above series, which I understand is better than can be achieved with an autoregressive model for the closing prices and associated ROI’s. I’ve also developed spreadsheets showing profits, after broker fees and short term capital gains taxes, from trading based on forecasts of the EVPA. But, in addition to guidance for my personal trading, I’m interested in following out the implications of how much the historic prices predict about the prices to come. 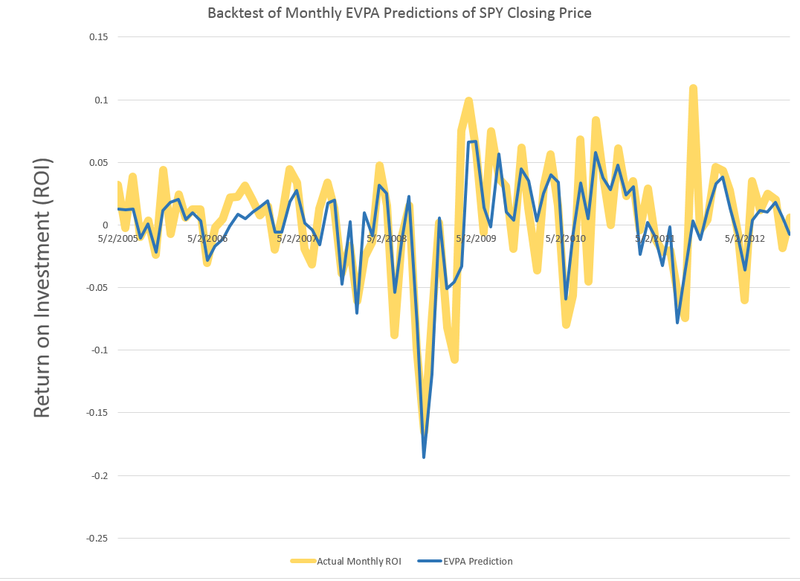 Last Friday, before July 4th, I ran some numbers on the SPY exchange traded fund, looking at backcasts from the EVPA (extreme value prediction algorithm) for the Monday and Tuesday before, when Greece kept the banks closed and defaulted on its IMF payment. I also put up a ten day look forward on the EVPA predictions. Of course, the SPY is an ETF which tracks the S&P 500. 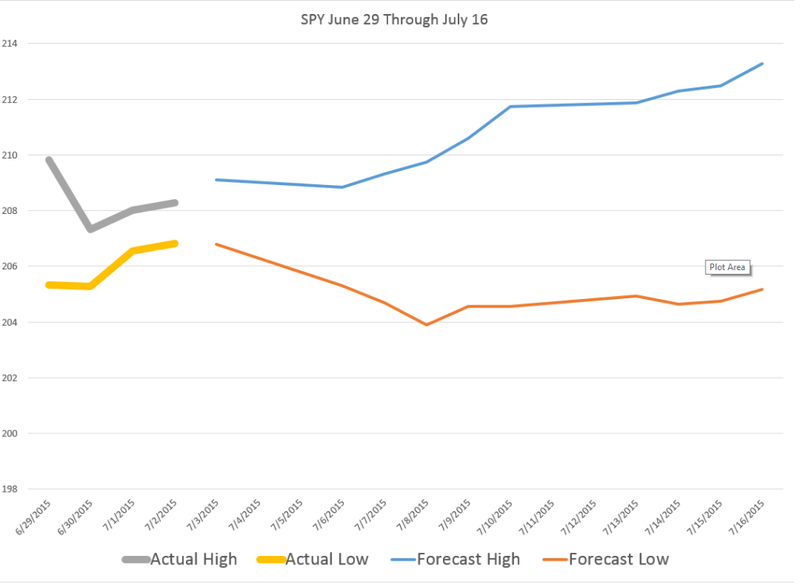 The EVPA predicted the SPY high and low would drop at the beginning of the following week, beginning July 6, but seemed to suggest some rebound by the end of this week – that is today, July 10. Here is a chart for today and next week with comments on interpreting the forecasts. So the EVPA predicts the high and low over the current trading day, and aggregations of 2,3,4,.. trading days going forward. The red diamonds in the chart map out forecasts for the high price of the SPY today, July 10, and for groups of trading days beginning today and ending Monday, July 13, and the rest of the days of next week. Similarly, the blue crosses map out forecasts for the SPY low prices which are predicted to be reached over 1 day, the next two trading days, the next three trading days, and so forth. Attentive readers will notice an apparent glitch in the forecasts for the high prices to come – namely that the predicted high of the next two trading days is lower than the predicted high for today – which is, of course, logically impossible. But, hey, this is econometrics, not logic, and what we need to do is interpret the output of the models against what it is we are looking for. 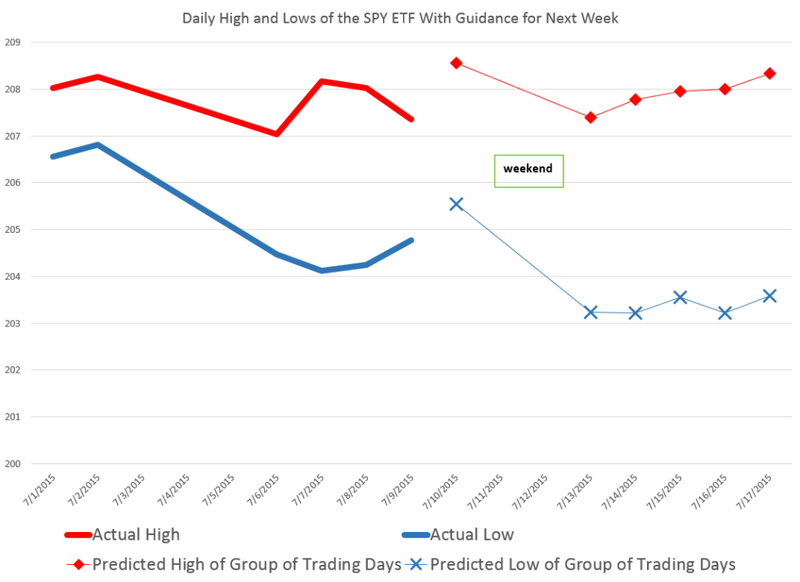 In this case, a solid reduction in the predicted high of the coming two day period, compared with the prediction of today’s high signals that the high of the SPY is likely to be lower Monday than today. This is consistent with predictions for the low today and for the next two trading days shown in blue – which indicates lower lows will be reached the second day. Following that, the EVPA predictions for higher groupings of trading days are inconclusive, given statistical tolerances of the approach. Note that the predictions of the high and low for today, Friday, July 10, are quite accurate, assuming these bounds have been reached by this point – two o’clock on Wall Street. In percentage error terms, the EVAP forecasts are over-forecasting 0.3% for the high and 0.2% for the low. Again, the EVPA always keys off the opening price of the period being forecast. I also have a version of the EVPA which forecasts ahead for the coming week, for two week periods, and so forth. Leading up to the financial crisis of 2008 and then after the worst in October of that year, the EVPA weekly forecasts clearly highlight turning points. Currently, weekly forecasts going up to monthly durations do not signal any clear trend in the market, but rather signal increasing volatility. Chinese stocks are more volatile, in terms of percent swings, than stocks on other global markets, as this Bloomberg chart highlights. 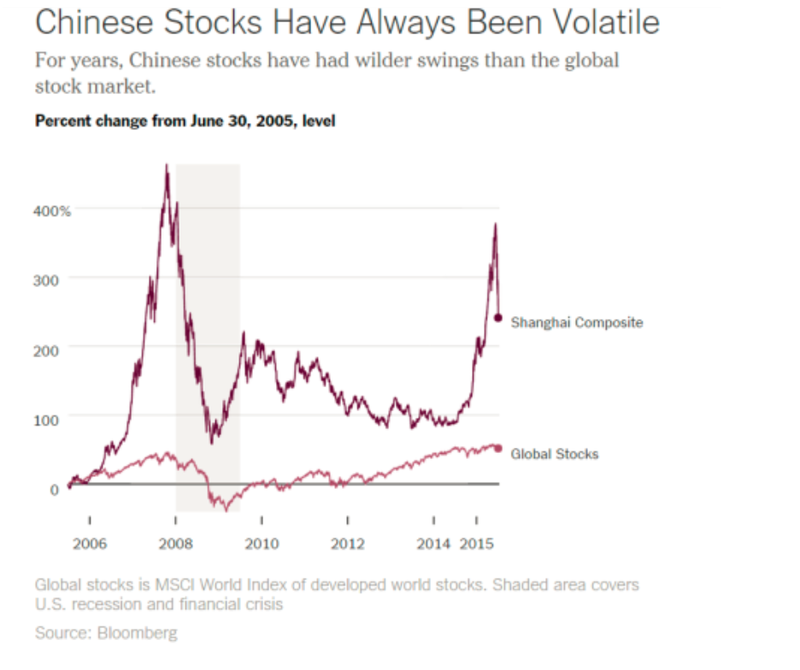 So the implication is maybe that the current bursting of the Chinese stock bubble is not such a big deal for the global economy, or perhaps it can be contained – despite signs of correlations between the Global Stocks and Shanghai Composite series. Panic selling hit the major Chinese exchanges in Shanghai and Shenzeng, spreading now to the Hong Kong exchange. Trades on most companies are limited or frozen, and major indexes continue to drop, despite support from the Chinese government. The rout in Chinese shares has erased at least $3.2 trillion in value, or twice the size of India’s entire stock market. The Shenzhen Composite Index has led declines with a 38 percent plunge since its June 12 peak, as margin traders unwound bullish bets. Briefly put, there are few alternatives for saving in China. The formal banking system provides negative returns (low deposit yields, lower than inflation typically). Housing is no longer returning positive capital gains — partly as a consequence of deliberate policy actions to moderate a perceived housing bubble. So, what’s left (given you can’t easily save in overseas assets)? Equities. We have a typical boom-bust phenomenon, amplified by underdeveloped financial markets, opacity in valuations, and uncertainty regarding the government’s intentions (and will-power). Most of the trades on Chinese exchanges are made by “retail traders,” basically individuals speculating on the market. These individuals often are highly leveraged or operating with borrowed money. 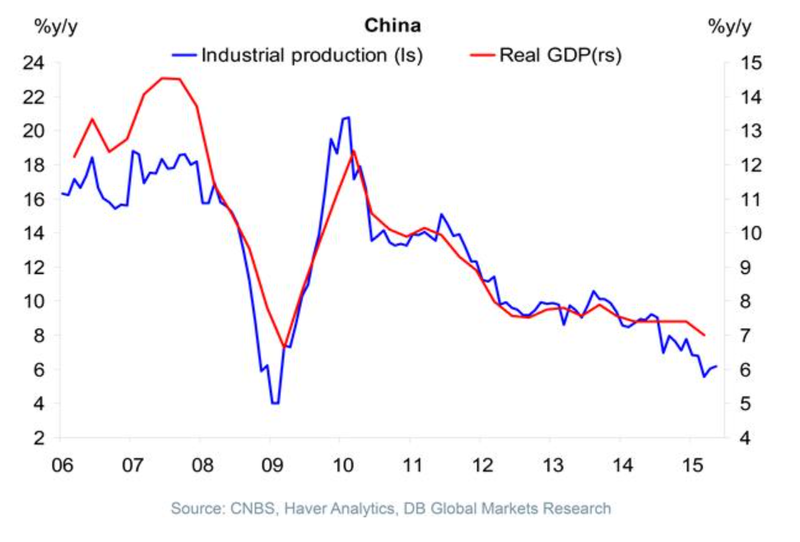 The Chinese markets moved into bubble territory several months back, and when a correction hit and as it accelerated recently, the Chinese government has tried all sorts of stuff, some charted below. Public/private funds to buy stocks and slow the fall in their prices have been created, also. It’s hard for foreign investors to gain access to the Chinese markets, where there are different classes of stocks for Chinese and foreign traders. So, by that light, only a few percent of Chinese stocks are held by foreign interests, and direct linkages between the sharp turn in values in China and elsewhere should be limited. There may indirect linkages going from the Chinese stock market to the Chinese economy, and then to foreign supplies. Here’s why the crash in Chinese stocks matters so much to Australia, i.e. Australian property markets and reduced Chinese demand for iron. Iron ore demand by China and the drop in Chinese stocks actually seems more related to somewhat independent linkage with the longer term cascade down by Chinese GDP growth, illustrated here (See Ongoing Developments in China). But maybe the most dangerous and unpredictable linkage is psychological. The resounding “No” vote today (Sunday, July 5) by Greeks vis a vis new austerity proposals of the European Commission and European Central Bank (ECB) is pivotal. The immediate task at hand this week is how to avoid or manage financial contagion and whether and how to prop up the Greek banking system to avoid complete collapse of the Greek economy. But, if we can abstract momentarily from the human suffering involved, Greek developments have everything to do with practical and technical issues in forecasting and economic policy. Indeed, with real failures of applied macroeconomic forecasting since 2010. What is the percent reduction in GDP growth that is likely to be associated with reductions in government spending? This type of question is handled in the macroeconomic forecasting workshops – at the International Monetary Fund (IMF), the ECB, German, French, Italian, and US government agencies, and so forth – through basically simple operations with fiscal multipliers. The Greek government had been spending beyond its means for years, both before joining the EU in 2001 and after systematically masking these facts with misleading and, in some cases, patently false accounting. The money was supposed to buy Greece time to stabilize its finances and quell market fears that the euro union itself could break up. While it has helped, Greece’s economic problems haven’t gone away. The economy has shrunk by a quarter in five years, and unemployment is above 25 percent. In short, the austerity policies imposed by the “Troika” – the ECB, the European Commission, and the IMF – proved counter-productive. Designed to release funds to repay creditors by reducing government deficits, insistence on sharp reductions in Greek spending while the nation was still reeling from the global financial crisis led to even sharper reductions in Greek production and output – and thus tax revenues declined faster than spending. Or, to put this in more technical language, policy analysts made assumptions about fiscal multipliers which simply were not borne out by actual developments. They assumed fiscal multipliers on the order of 0.5, when, in fact, recent meta-studies suggest they can be significantly greater than 1 in magnitude and that multipliers for direct transfer payments under strapped economic conditions grow by multiples of their value under normal circumstances. Problems with fiscal multipliers used in estimating policy impacts were recognized some time ago – see for example Growth Forecast Errors and Fiscal Multipliers the IMF Working Paper authored by Oliver Blanchard in 2013. Also, Simon Wren-Lewis, from Oxford University, highlights the IMF recognition that they “got the multipliers wrong” in his post How a Greek drama became a global tragedy from mid-2013. However, at the negotiating table with the Greeks, and especially with their new, Left-wing government, the niceties of amending assumptions about fiscal multipliers were lost on the hard bargaining that has taken place. Again, Wren-Lewis is interesting in his Greece and the political capture of the IMF. The creditors were allowed to demand more and sterner austerity measures, as well as fulfillment of past demands which now seem institutionally impossible – prior to any debt restructuring. This clearly states Greek debt is not sustainable, given the institutional realities in Greece and deterioration of Greek economic and financial indicators, and calls for immediate debt restructuring, as well as additional funds ($50 billion) to shore up the Greek banks and economy. There is a report that Europeans tried to block IMF debt report on Greece, viewing it as too supportive of the Greek government position and a “NO” vote on today’s referendum. If grace periods and maturities on existing European loans are doubled and if new financing is provided for the next few years on similar concessional terms, debt can be deemed to be sustainable with high probability. Underpinning this assessment is the following: (i) more plausible assumptions—given persistent underperformance—than in the past reviews for the primary surplus targets, growth rates, privatization proceeds, and interest rates, all of which reduce the downside risk embedded in previous analyses. This still leads to gross financing needs under the baseline not only below 15 percent of GDP but at the same levels as at the last review; and (ii) delivery of debt relief that to date have been promises but are assumed to materialize in this analysis. Some may view this analysis from a presumed moral high ground – fixating on the fact that Greeks proved tricky about garnering debt and profligate in spending in the previous decade. But, unless decision-makers are intent upon simply punishing Greece, at risk of triggering financial crisis, it seems in the best interests of everyone to consider how best to proceed from this point forward. And the idea of cutting spending and increasing taxes during an economic downturn and its continuing aftermath should be put to rest as another crackpot idea whose time has passed. How Did BusinessForecastBlog’s Stock Market Forecast Algorithm Perform June 20 and July 1? As a spinoff from blogging for the past several years, I’ve discovered a way to predict the high and low of stock prices over periods, like one or several days, a week, or other periods. 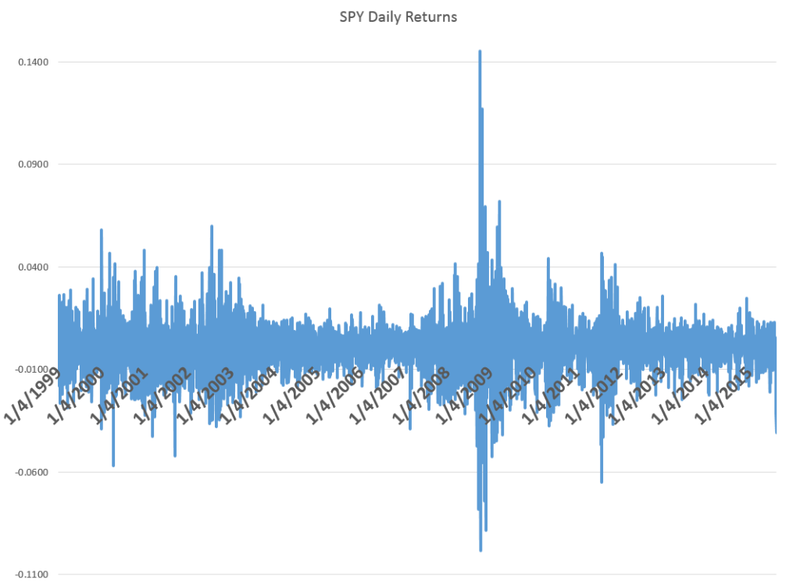 As a general rule, I can forecast the high and low of the SPY – the exchange traded fund (ETF) which tracks the S&P 500 – with average absolute errors around 1 percent. Recently, friends asked me – “how did you do Monday?” – referring to June 29th when Greece closed its banks, punting on a scheduled loan payment to the International Monetary Fund (IMF) the following day. SPY closing prices tumbled more than 2 percent June 30th, the largest daily drop since June 20, 2013. I’m now calling my approach the EVPA or extreme value prediction algorithm. I’ve codified procedures and moved from spreadsheets to programming languages, like Matlab and R.
The performance of the EVPA June 29th depends on whether you allow the programs the Monday morning opening price – something I typically build in to the information set. That is, if I am forecasting a week ahead, I trigger the forecast after the opening of that week’s trading, obtaining the opening price for that week. Given the June 29 opening price for the SPY ($208.05 a share), the EVPA predicts a Monday high and low of 209.25 and 207.11, for percent forecast errors of -0.6% and -1% respectively. Of course, Monday’s opening price was significantly down from the previous Friday (by -1.1%). Without Monday’s opening price, the performance of the EVPA degrades somewhat in the face of the surprising incompetence of Eurozone negotiators. The following chart shows forecast errors for predictions of the daily low price, using only the information available at the close of the trading day Friday June 26. Forecasts of the high price for one and two-trading day periods average 1 percent errors (over actuals), when generated only with closing information from the previous week. So where is the market going? The following chart shows the high and low for Monday through Wednesday of the week of June 30 to July 3, and forecasts for the high and low which will be reached in a nested series of periods from one to ten trading days, starting Wednesday. What makes interpretation of these predictions tricky is the fact that they do not pertain to 1, 2, and so forth trading days forward, per se. Rather, they are forecasts for 1 day periods, 2 day periods, 3 day periods, and so forth. One classic pattern is the highs level, but predictions for the lows drop over increasing groups of trading days. That is a signal for a drop in the averages for the security in question, since highs can be reached initially and still stand for these periods of increasing trading days. These forecasts offer some grounds for increases in the SPY averages going forward, after an initial decrease through the beginning of the coming week. 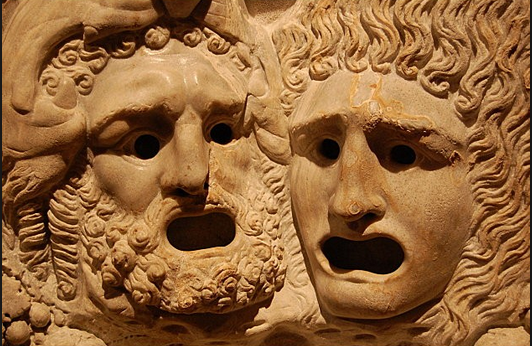 Of course the Greek tragedy is by no means over, and there can be more surprises. Still, I’m frankly amazed at how well the EVPA does, in the humming, buzzing and chaotic confusion of global events. Here are some short takes on topics of the day related to the economic outlook for the rest of 2015, nationally and globally. First a couple of videos on the poor performance of the US economy in the first quarter 2015, when real GDP contracted slightly. This also happened last year, and so there may be a rebound, and, of course, the estimates are released at a significant lag – so we won’t know for a while. 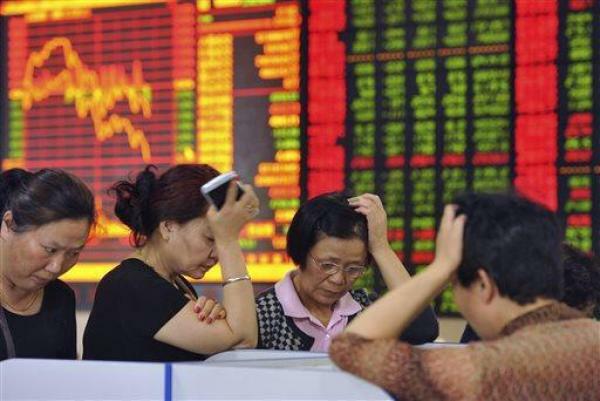 Then, a couple of videos on the Chinese stock market crash and condition of the Chinese economy – worrisome since China plays a bigger and bigger role in global business. Bear with the halting English in the first video; there is a payoff in terms of a look from the inside. The second is from a couple of months ago, but is extremely informative vis a vis the big picture. In closing, I have a comments on technical forecasting issues suggested by the above. First, “nowcasting” with mixed frequency data should always be applied to these prognostications of what will happen to past economic growth, e.g. the 2nd quarter of 2015. My sense is this is not being done widely, but it’s easy to show its efficacy. There is no reason to drawl on about imponderables, when you can just apply available weekly and monthly data, maybe using MIDAS, to get a better idea of what number we are likely see for the 2nd quarter 2015. Secondly, I doubt data analytics can provide much light on the situation in China, precisely because there is a lot of evidence the data being announced are suspect. You can go too far in claiming this, but there are warning signs about Chinese data these days. It’s probably comparable to assessing the integrity of Chinese company financials – which see very creative accounting. in certain cases. As far as Greece goes, I think the outcome is completely unpredictable. Greece is a small economy. If turning Greece away means catastrophic consequences, assistance should be forthcoming, and there are resources available for the size of the problem. 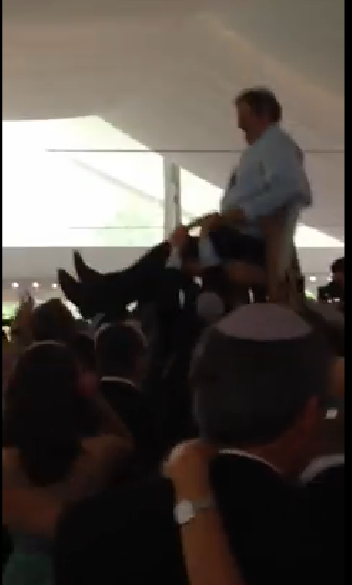 Events, however, may have moved beyond rationality. 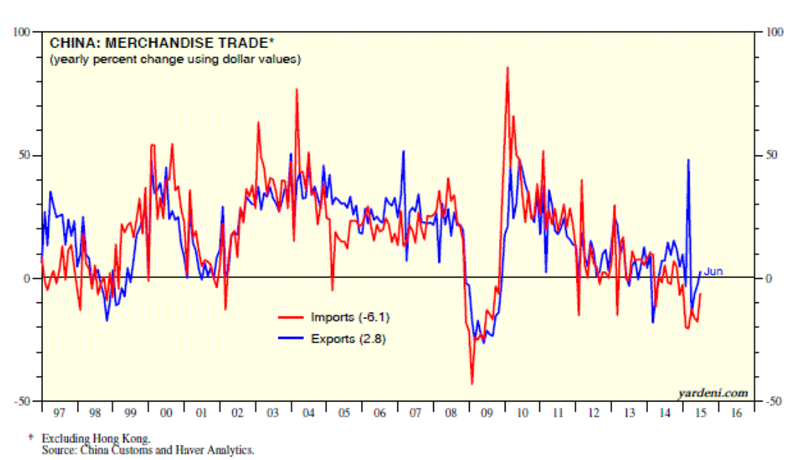 The crux of the matter seems to be that there needs to be a way to recirculate funds from the surplus exporters (Germany, largely) to the deficit importers (peripheral Europe). One proposal is for Germany to create a kind of “New Deal” to invest in the European periphery, so that down the line, their economies can become more balanced and competitive. Another approach, which seems to be that of the Christian Democratic Union (CDU) of Germany, is the neoliberal “solution.” Essentially, force wages and living standards down in debtor countries to the point where they again become globally competitive.